This month we’re releasing the animation: "Flat plane splint – symptomatic". Dr Alain Aubé has described his use of flat plane splints in his webinar presented in November 2018. 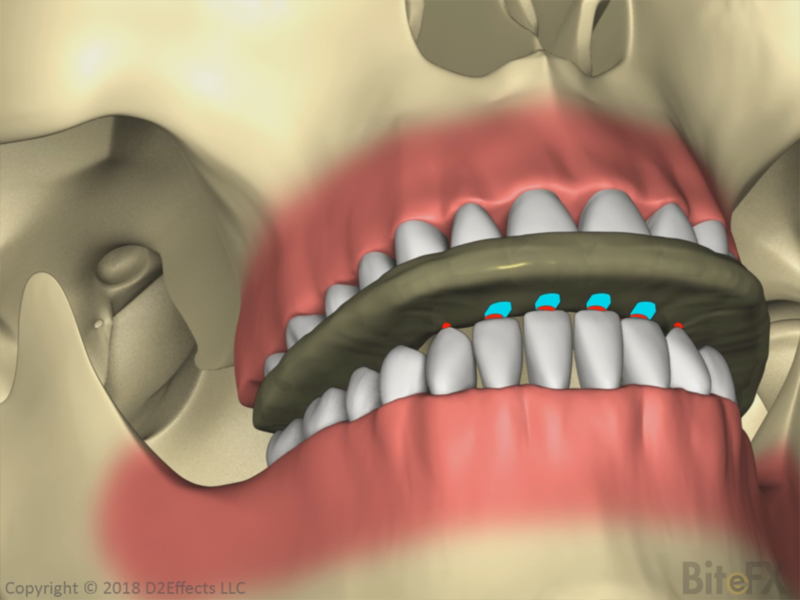 This animation shows how the plane of the splint allows the jaw to settle back into its fully seated position, but unlike the asymptomatic case, the other teeth do not make contact contact when the jaw is fully seated. However, the flat plane still takes advantage of the geometry of the eminence to provide anterior guidance. This animation is the follow up to last months animation, which was using a flat plane splint for an asymptomatic patient. The info topics provided with the animations will explain the details. Thanks to Dr. Aubé, President, Canadian Occlusion Institute, for his guidance in creating this animation. Look for this animation in Update 79 on Windows, Update 45 on the iPad.